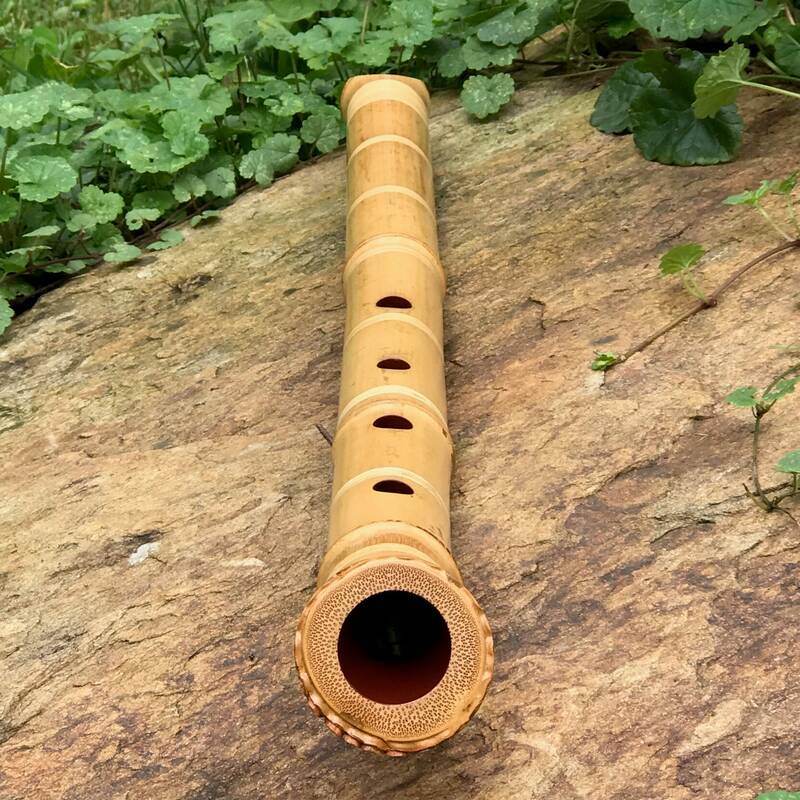 1.8 'D' Shakuhachi Flute made from Japanese Madake bamboo. Black acrylic Kinko style utaguchi inlay with sterling silver outline and brick-red interior lacquer. Features reinforced inlaid rattan bindings to prevent cracking and add elegance. 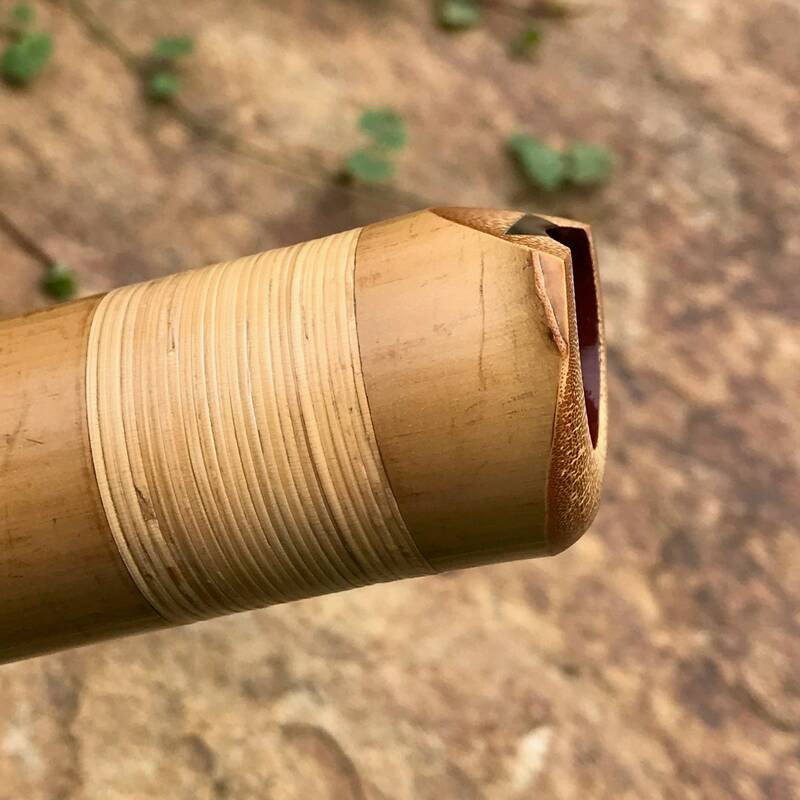 Strong, tightly wrapped synthetic bindings are inlaid into the bamboo with rattan overlaid to be flush with the surface of the flute. 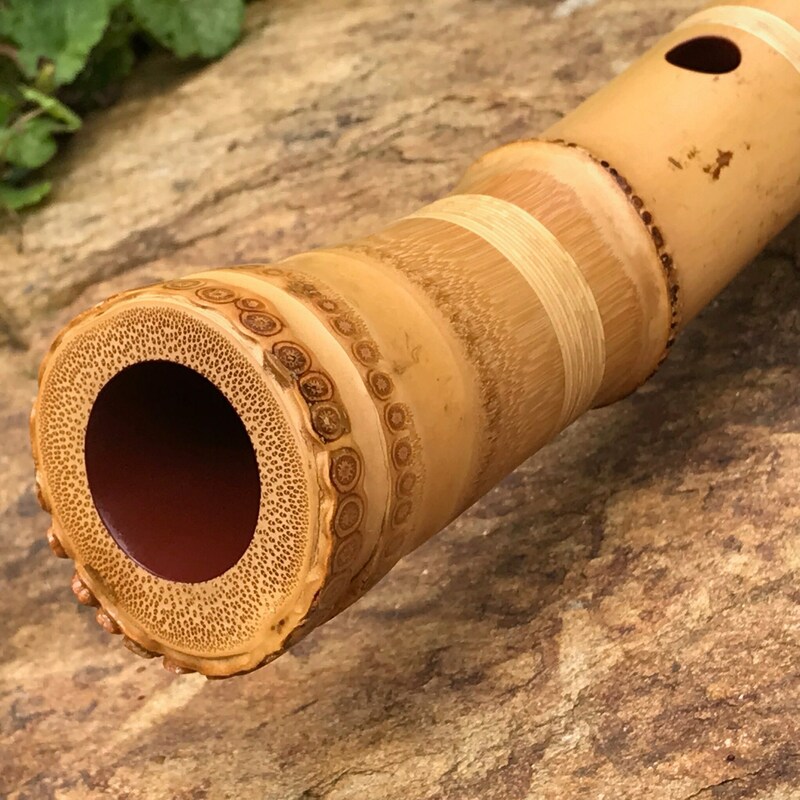 As with all my cast interior shakuhachi, each note has a full range from bright, strong resonance tapering all the way into silence with excellent tonal stability. 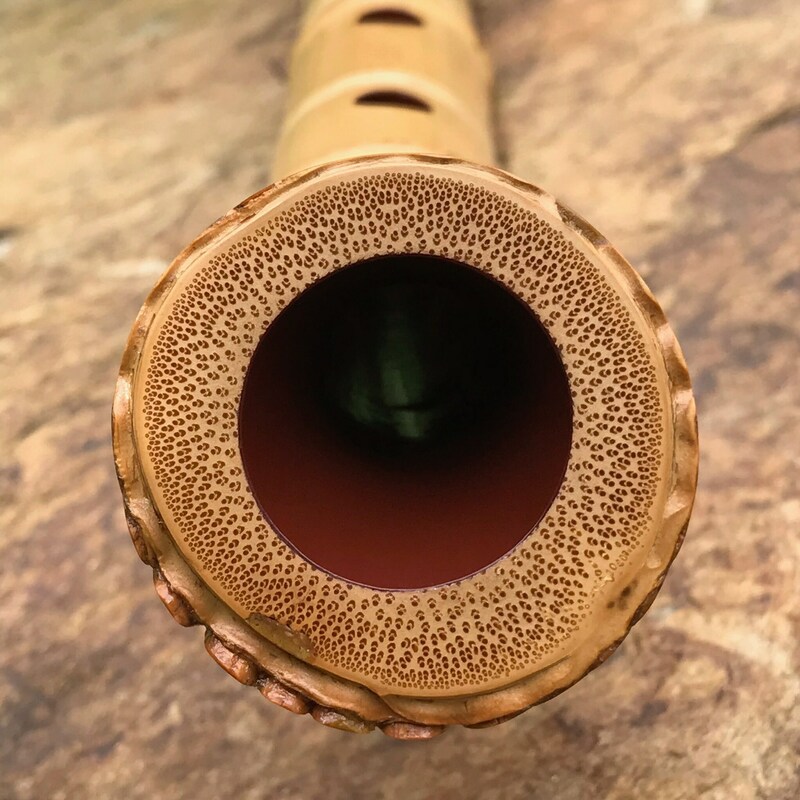 Measures 21-3/4" long and 1.3" in diameter a little below the mouthpiece. Weighs 14.2 oz./402g. 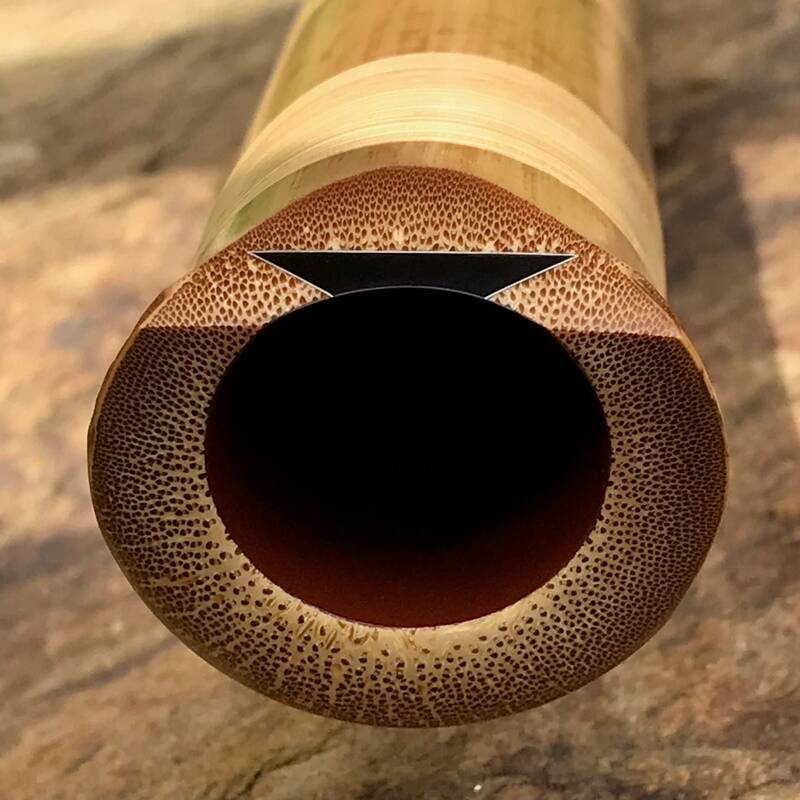 Each Professional Cast Interior Shakuhachi comes with a traditional type cotton cleaning cloth (tsuyutoshi) with string and steel weight for cleaning moisture from the bore, a 1 ounce bottle of pure walnut flute oil for the flute's exterior and care instructions. 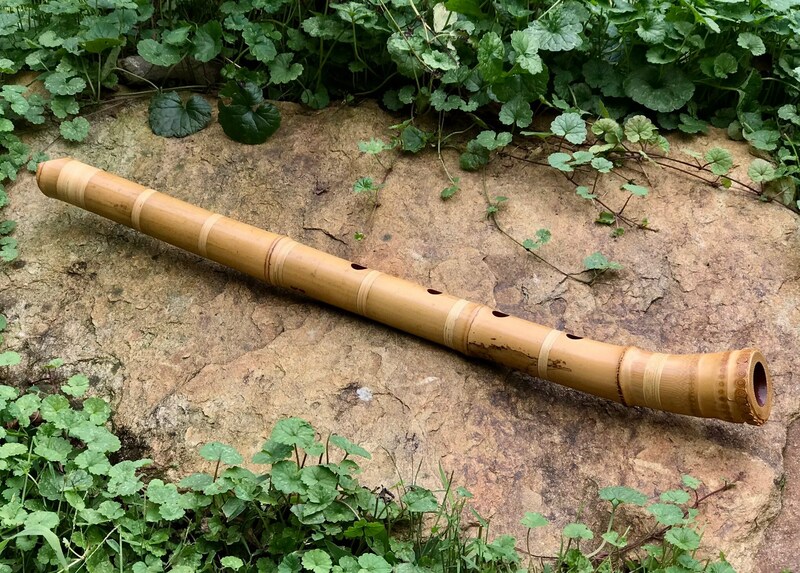 A beginner guide to playing shakuhachi by Jon Kypros is available free of charge if requested at the time of ordering this flute. 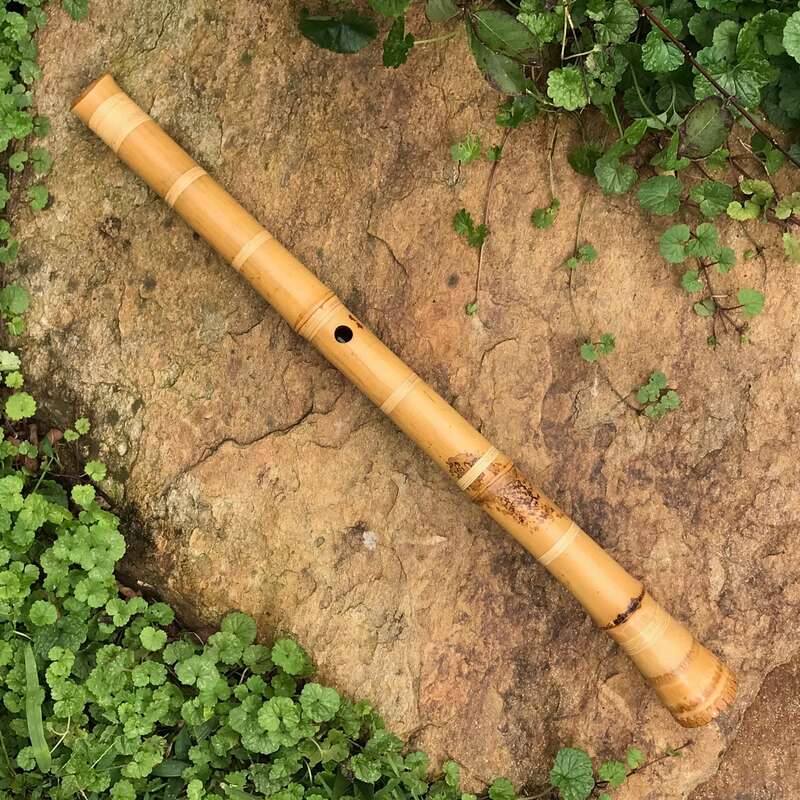 These are my highest quality Jiari-type Shakuhachi Flutes. Excellent, strong yet beautifully soothing tone with precise pitch. Tuned to concert pitch – A440 @ 68°F room temperature. Traditional Japanese minor pentatonic scale. Featuring a unique Cast Interior system. 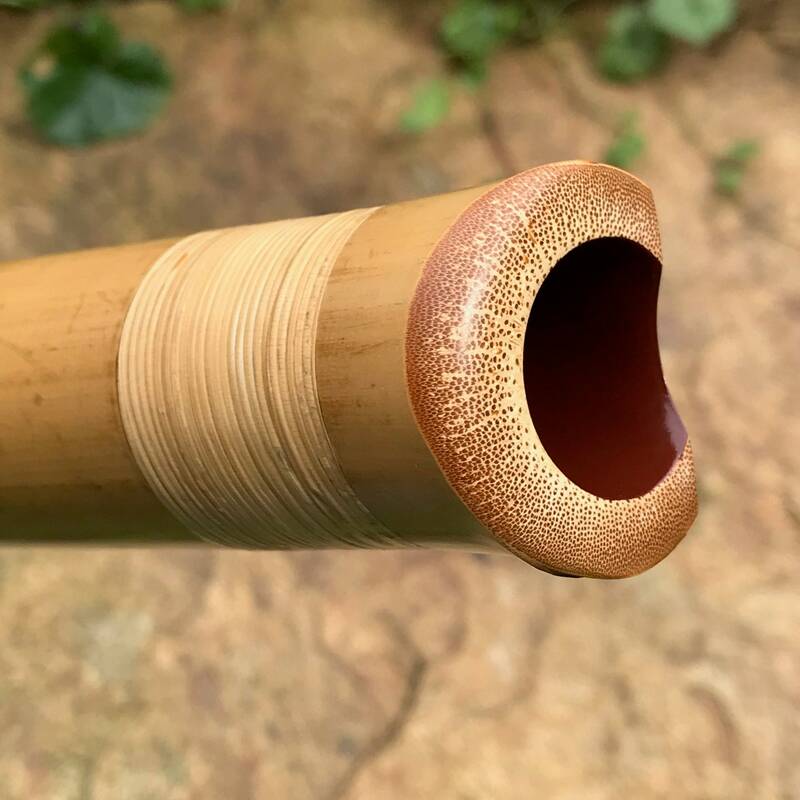 These are excellent quality Jiari-type root end bamboo shakuhachi flutes with a durable, non-toxic, mineral-based bore material. 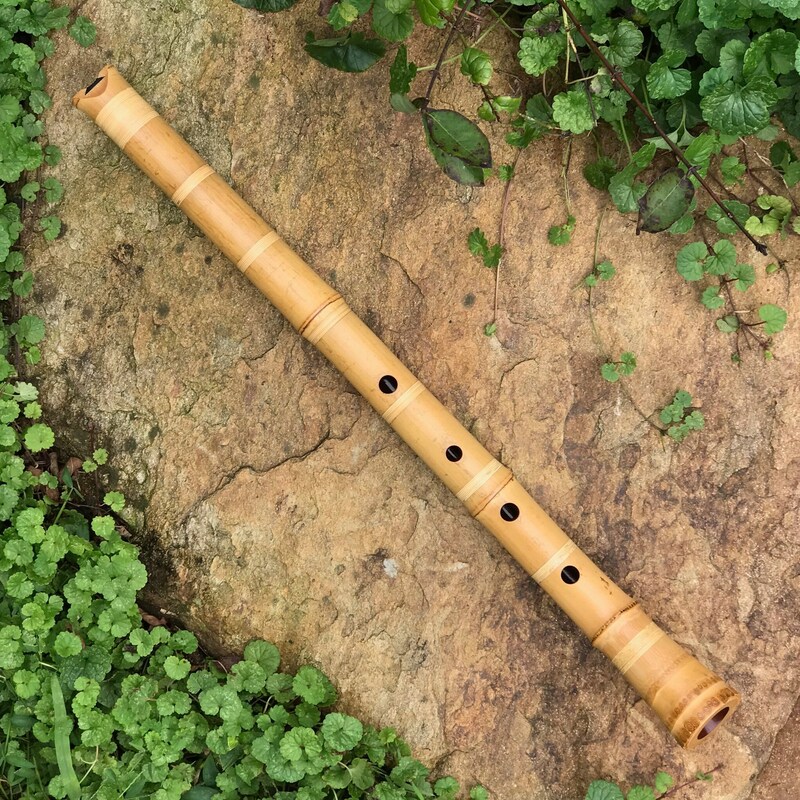 Intended for professional players, though any level of player can do well with these shakuhachi. Precision crafted acrylic utaguchi inlay on the blowing edge for long-term performance. Inlay features an outline of tarnish-resistant argentium sterling silver for elegance. Non-toxic lacquer on the inside for beauty and durability. Outside is finished with pure, premium natural Tung oil for increased bamboo stability.